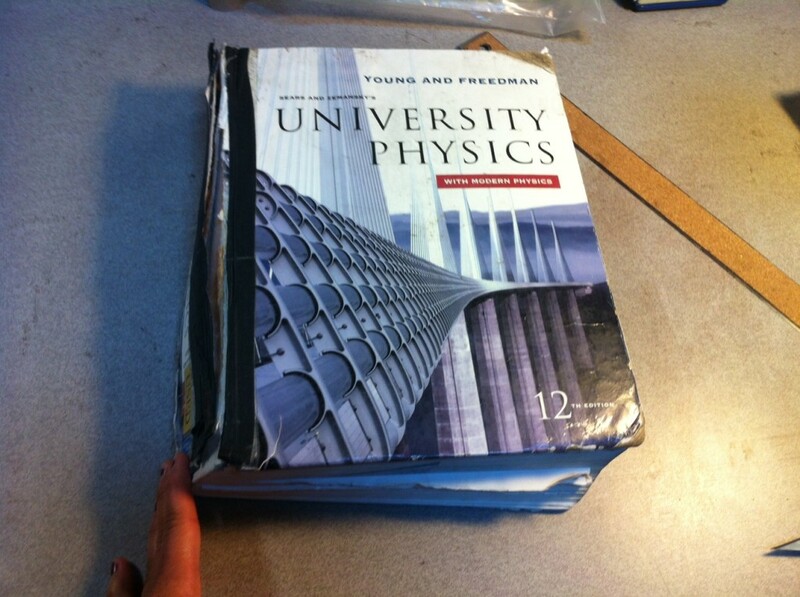 The repair of this beloved Physics textbook is a surprise Valentine’s Day gift. 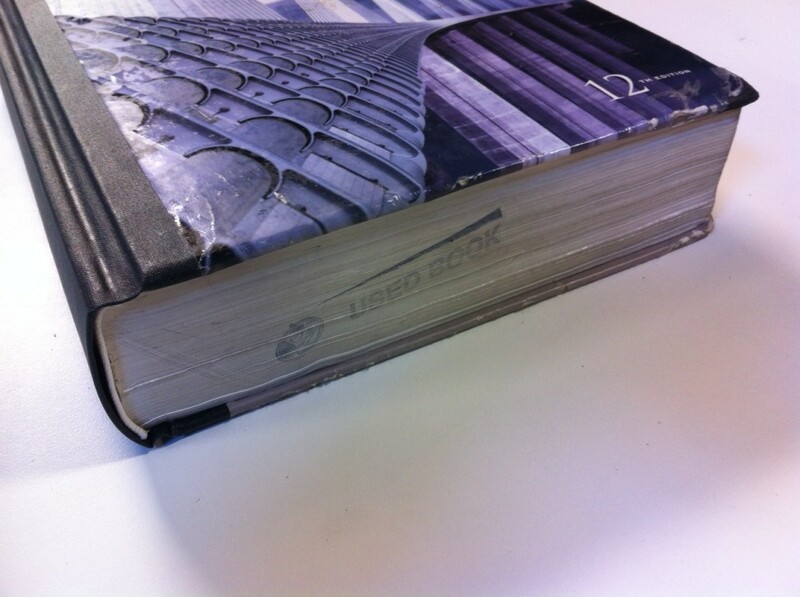 The pages were falling out, the spine was hardly intact, and the corners were frayed. 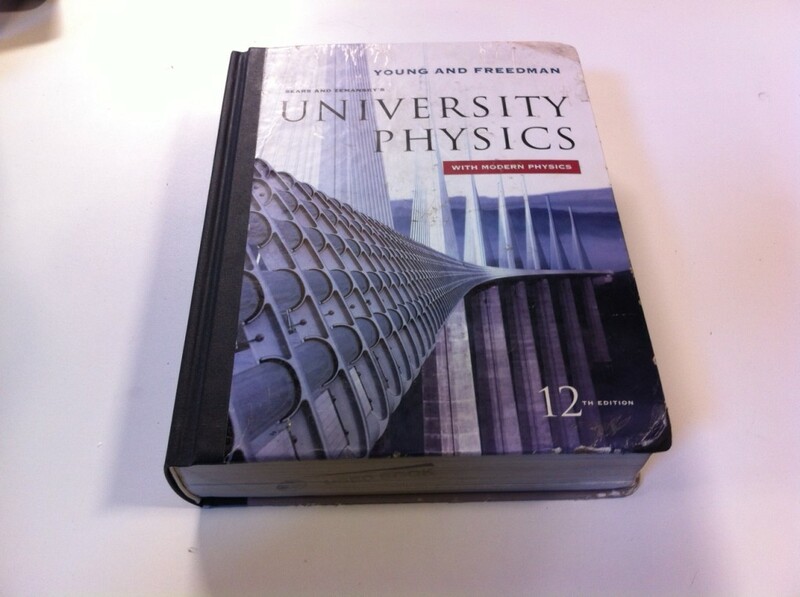 This book required resewing and a new spine piece. The corners had to be consolidated. I also added new hinge cloth to reinforce the text block’s attachment to the case. Previously, all that was holding the text block together was glue. 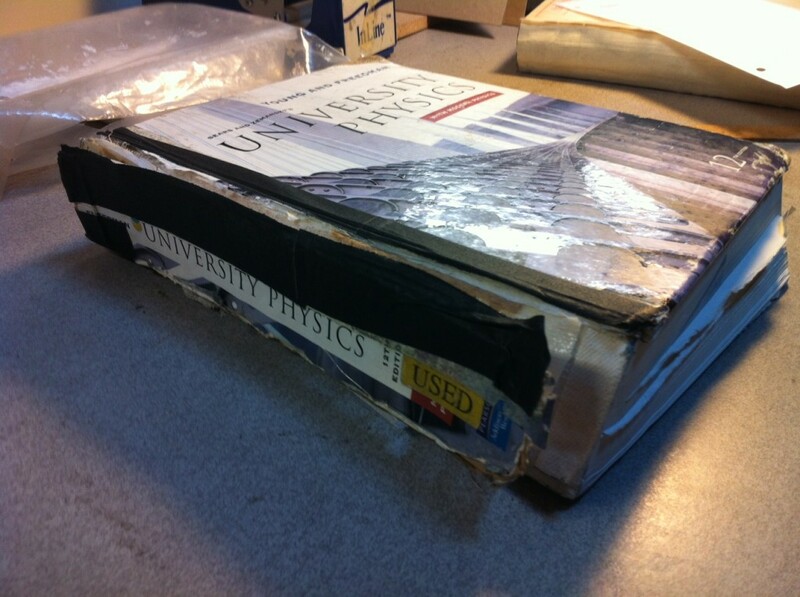 The book was perfect bound. 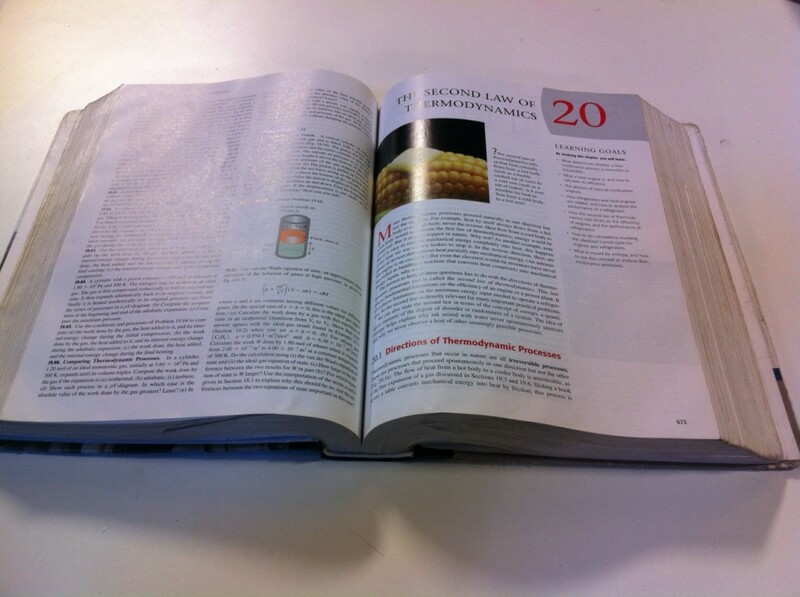 And now that the book is sewn, it opens without the pages falling out. 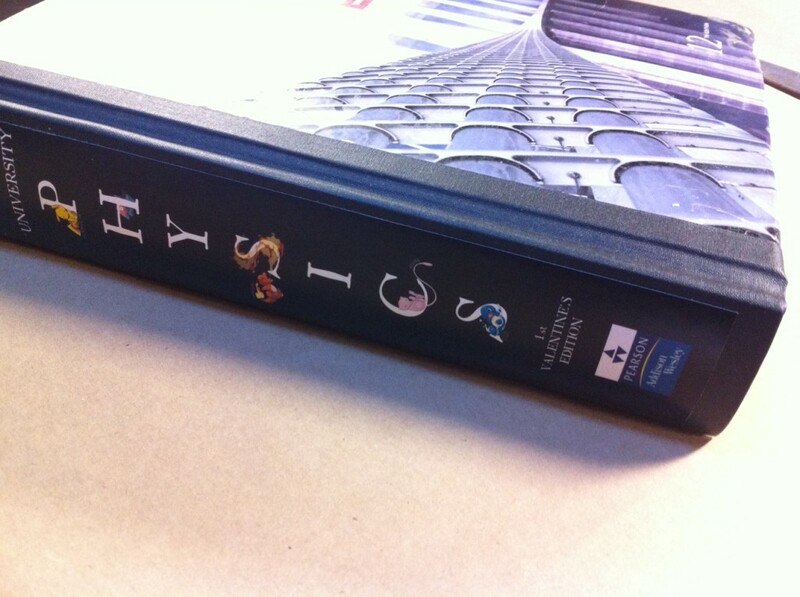 The client created this wonderful artwork for the new spine piece.